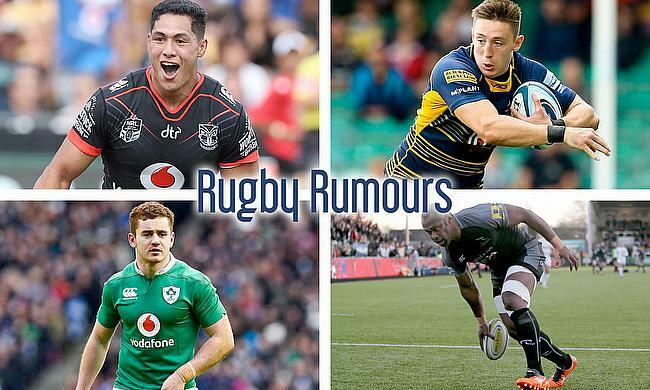 Top 14 side Clermont Auvergne have approached a Rugby League superstar to join their ranks from the NZ Warriors in the NRL. Roger Tuivasa-Sheck is currently the Warriors' captain and is contracted until 2022, but he has Rugby Union on his mind following a meeting with NZR re:RWC. Wales and Worcester Warriors wing Josh Adams is in talks with the Pro 14 Welsh regions following the end of his contract, at the close of this 18/19 season. He has been contacted by the Scarlets and Cardiff Blues regarding the move, which he would need to do if he wants to keep his international duties alive. Newcastle and Fijian favourite Vereniki Goneva is rumoured to have been approached by a number of Top 14 clubs including Toulon, Montpellier & Clermont. The 34 year-old signed an undisclosed contract with the Falcons at the start of the year but could be tempted by a more lucrative deal in France. After signing for Perpignan at the start of the season, Paddy Jackson is looking to extend his time in the Top 14, but likely with a new club: Lyon. Currently rock bottom in France's top flight, and with a relegation clause in his contract after the first year, we could well see him on the move for the 19/20 season.